A record 433 paid attendees packed Lincoln Harbor to raise $18,000 for the library. Mayor Richard Turner (right) presented Hartz Mountain executives with a plaque in appreciation of their support over the past 17 years. 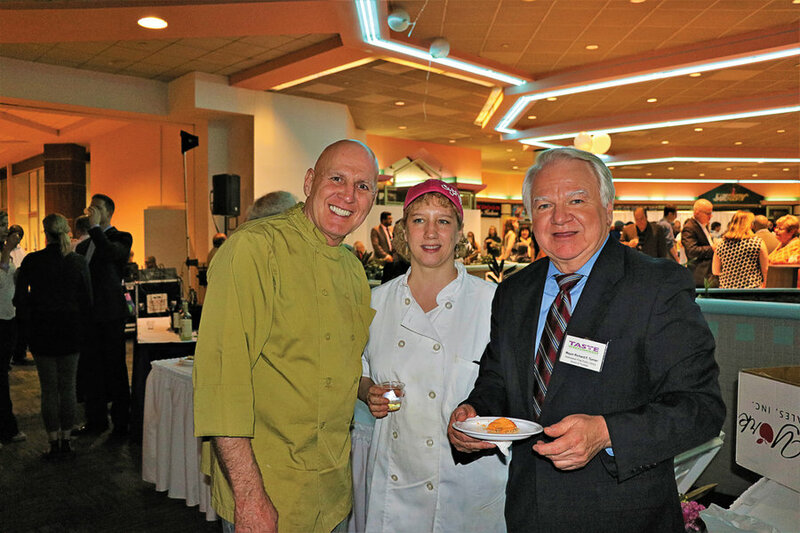 Mayor Richard Turner announced on May 2 that after 17 years in Lincoln Harbor, Taste of Weehawken might need to find a new home next year. 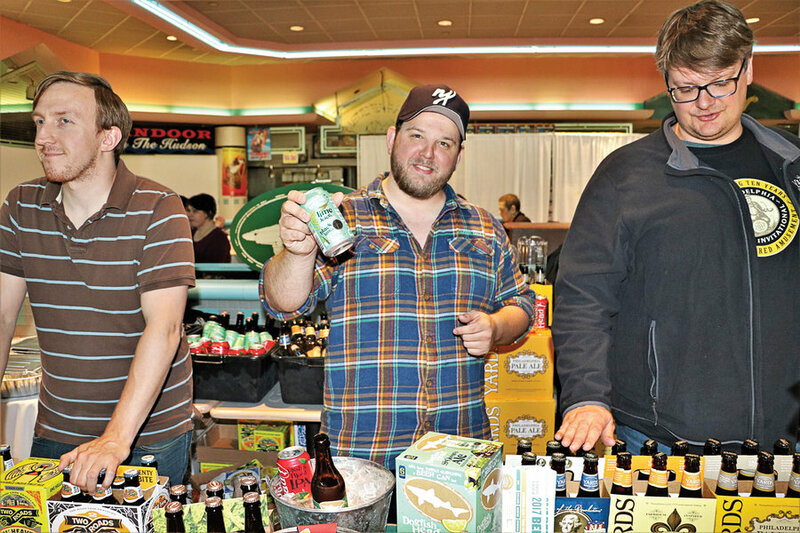 Giannone’s Wine & Liquor Co. arranged for 12 tables of wine, spirits, and craft beers. Bergen County resident Nicole Carter, a vegetarian, attended for the first time and plans to return. 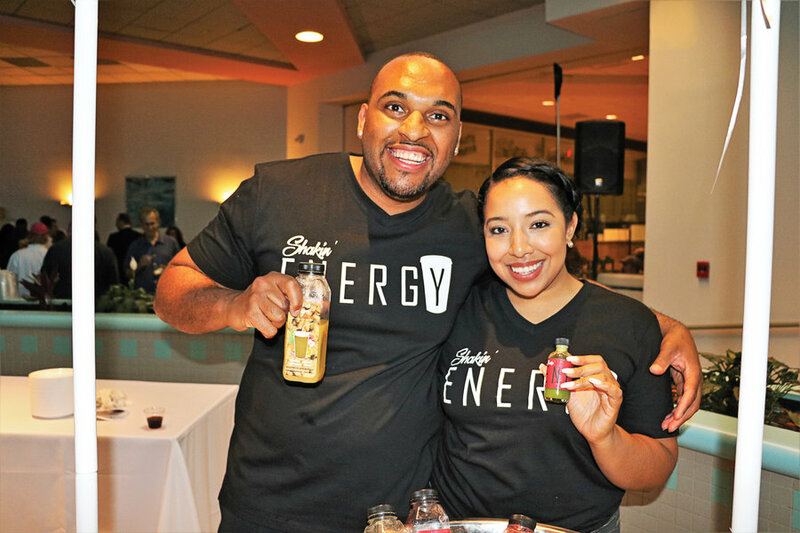 JP Dedios and Carolina Hernandez serve fresh organic food and energizing drinks at their year-old Shakin’ Juice Bar in Weehawken. 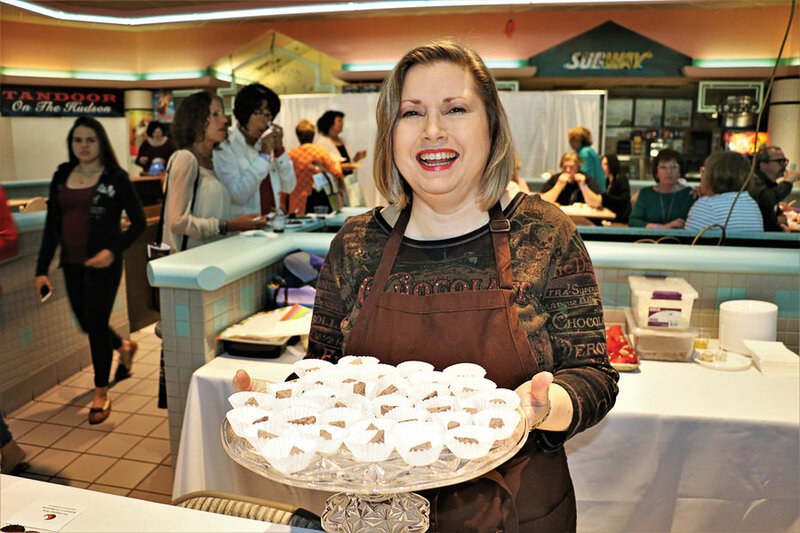 Kathryn’s Confections, from Weehawken, are a staple treat at the Taste. Luce’s Gluten-Free Artisan Bread offers numerous delicious varieties of baked goods. 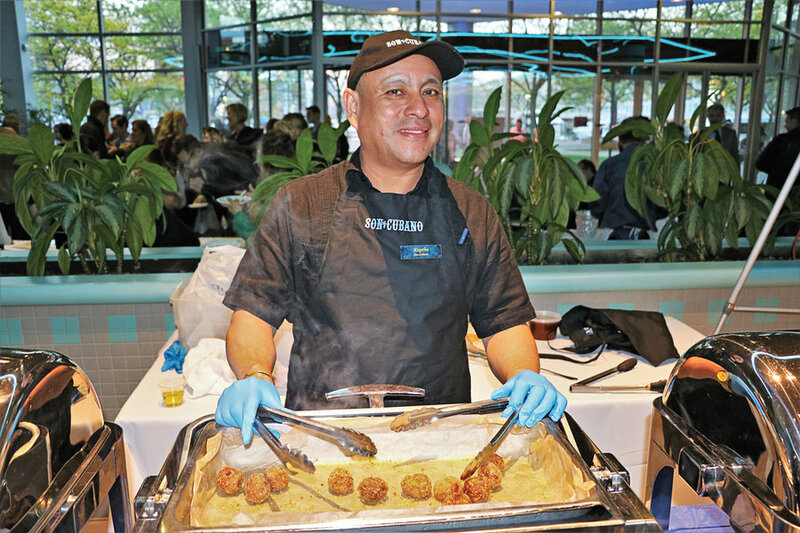 Houlihan’s Restaurant not only served their signature stuffed mushrooms and Navajo chicken pasta, they provided all the ice at the event and other assistance. 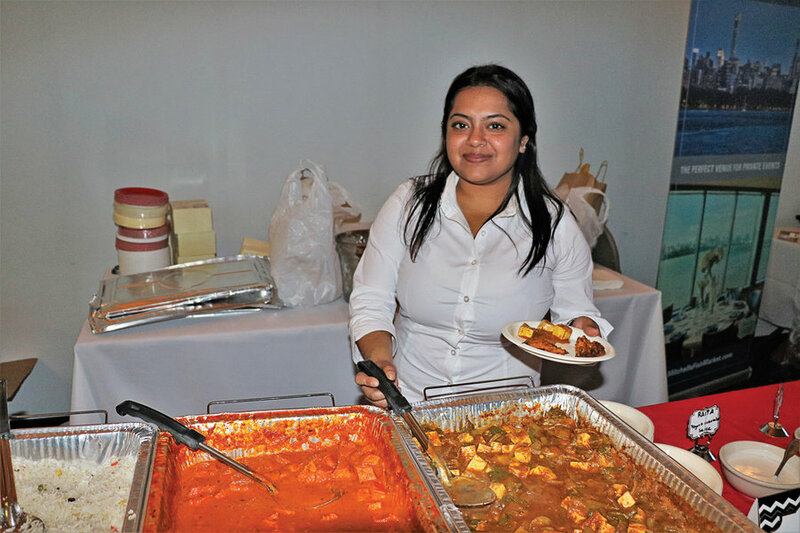 Son Cubano in West New York brought their Latin treats to the Taste. Touch of Spice offered a variety of Indian treats to the crowd. 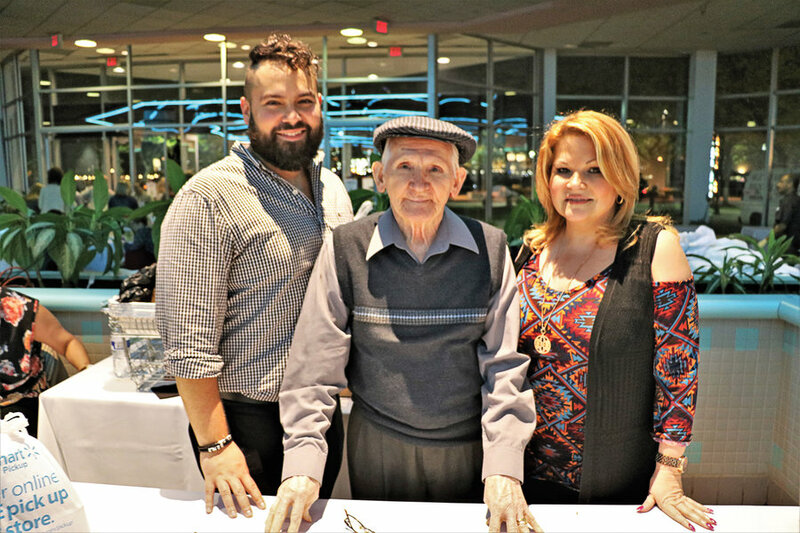 Three generations of the same family have made El Unico de Elena Restaurant a local legend in Weehawken. 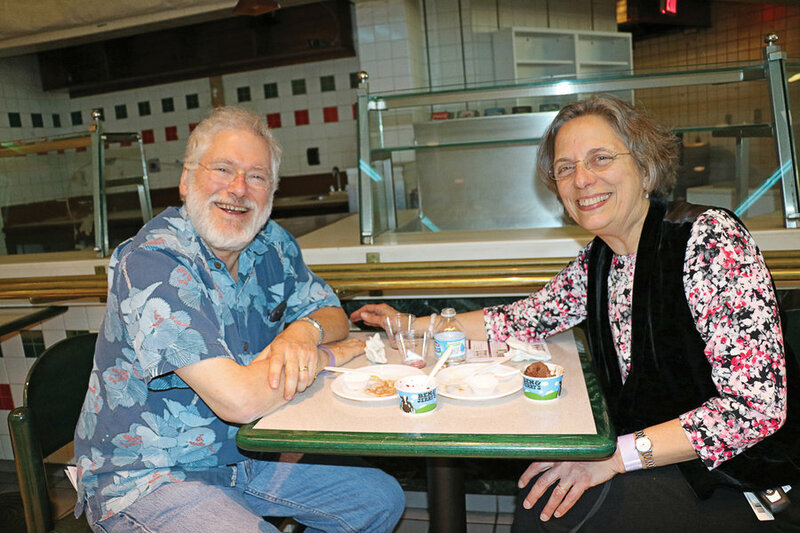 Porto Leggero came from Jersey City to offer mouth-watering mushroom ravioli. 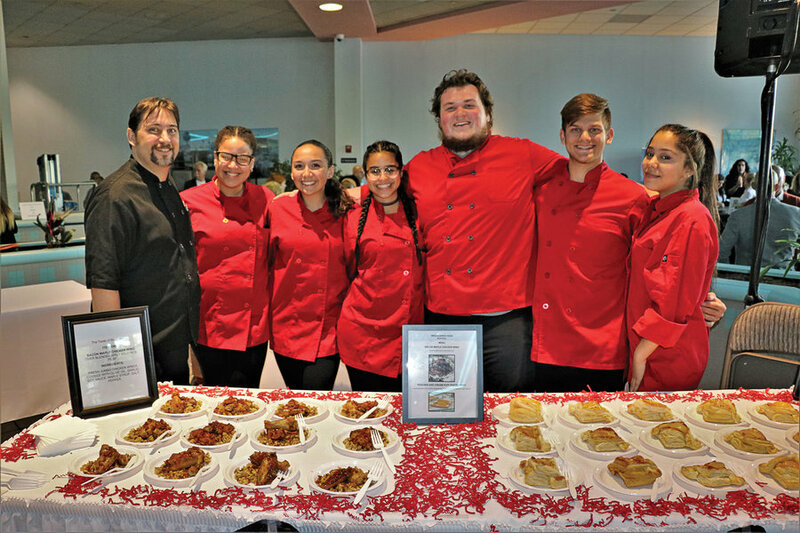 Students from the Weehawken High School Culinary Arts Program once again were a highlight of the event. 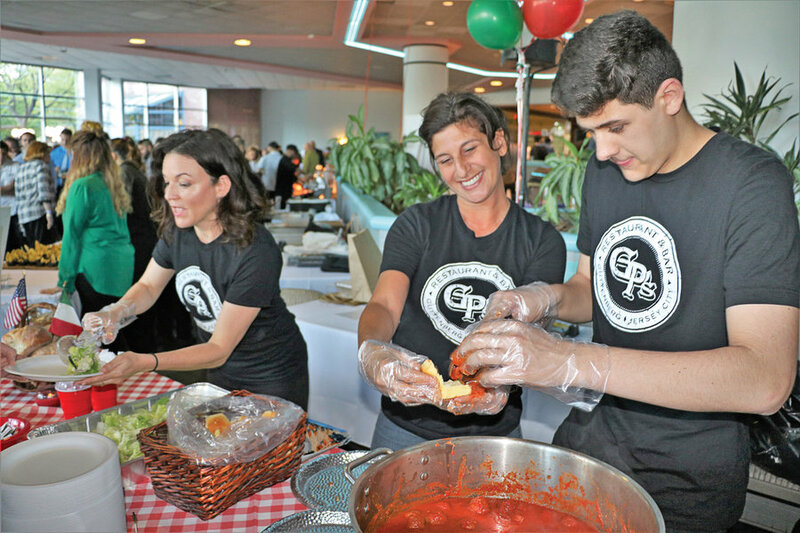 Meatball sliders from GPs in Guttenberg are always a popular item at the Taste. Acappella West, a newcomer to the Edgewater area, offer magnificent Northern Italian fare. 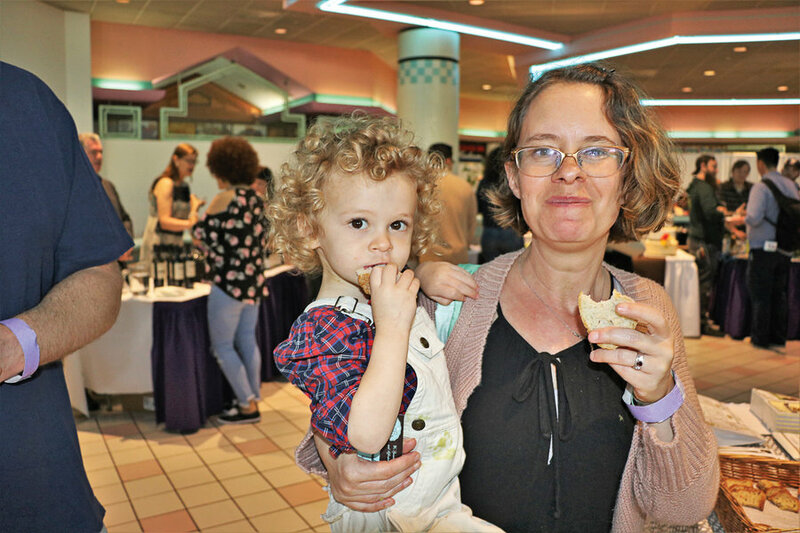 The Taste is fun for foodies of all ages! 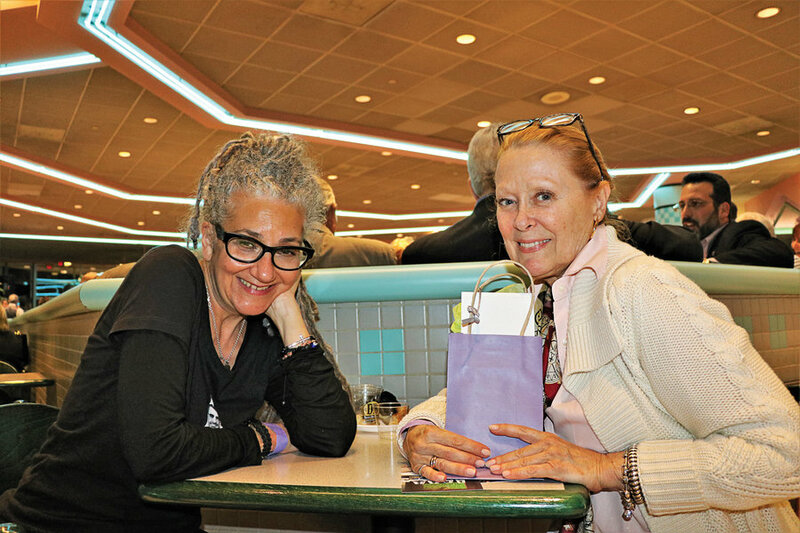 Mary Ciuffitelli and Sherry Cassin are both ‘committed Weehawkenites’ who have vowed to follow the Taste wherever it goes. 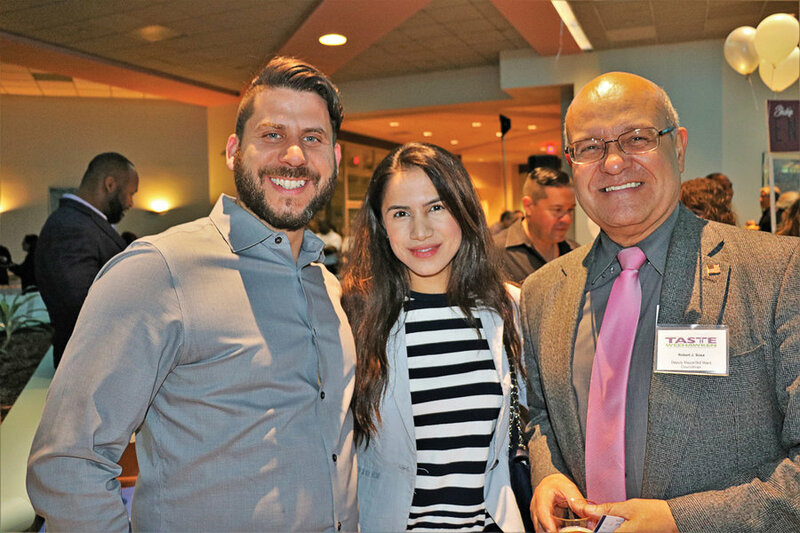 George and Fara Georgiadis of the children’s playground Play City in Weehawken spent time chatting with Councilman Robert Sosa. Mayor Richard Turner (right) enjoyed a treat from Lorraine’s Kitchen, with Lorraine Wuillamey and her husband/dishwasher Paddy O’Keeffe. 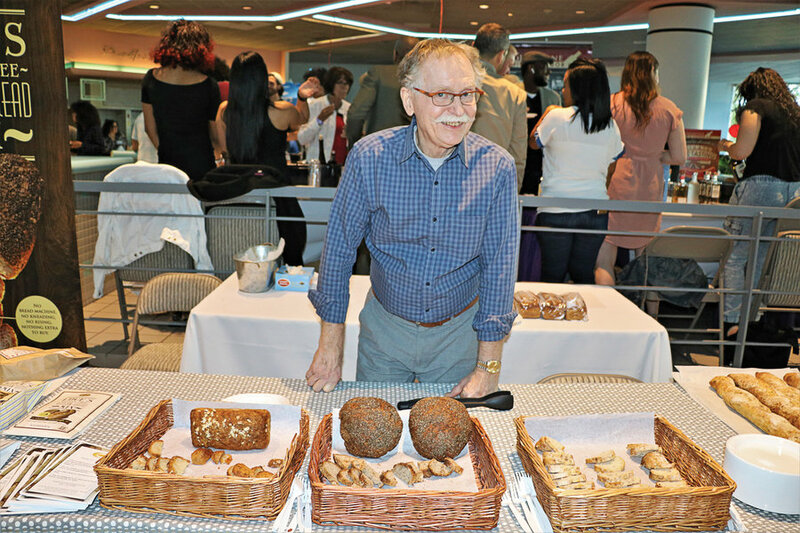 After 17 years of food, fun, and fundraising, the annual Taste of Weehawken food festival may move to a new location next year. 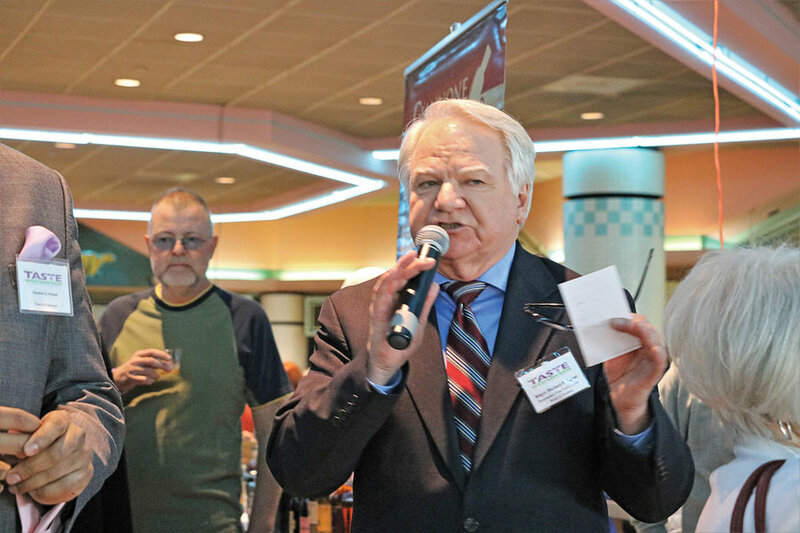 At the May 2 event, Mayor Richard Turner announced to the crowd that Hartz Mountain, the owner of the Lincoln Harbor food court where the event is held each year, will transform it into another restaurant. 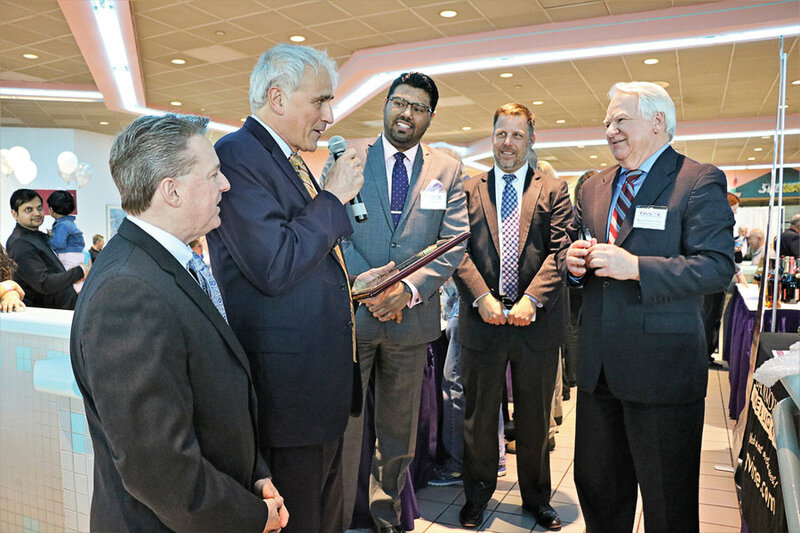 Turner thanked Hartz Mountain for their generous donation of the space over the years, and presented a plaque to the company’s President Gus Milano, General Counsel Phil Patton, and Director of Development James Rhatican. The question on everyone’s lips was: Where will the much beloved event move next year? Hartz Mountain will be expanding the nearby garage, which may delay the restaurant construction. 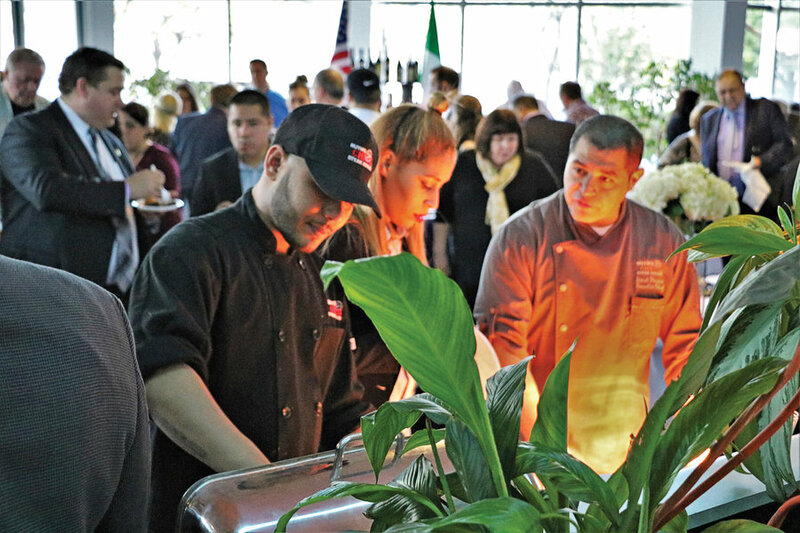 Either way, Taste of Weehawken will carry on. 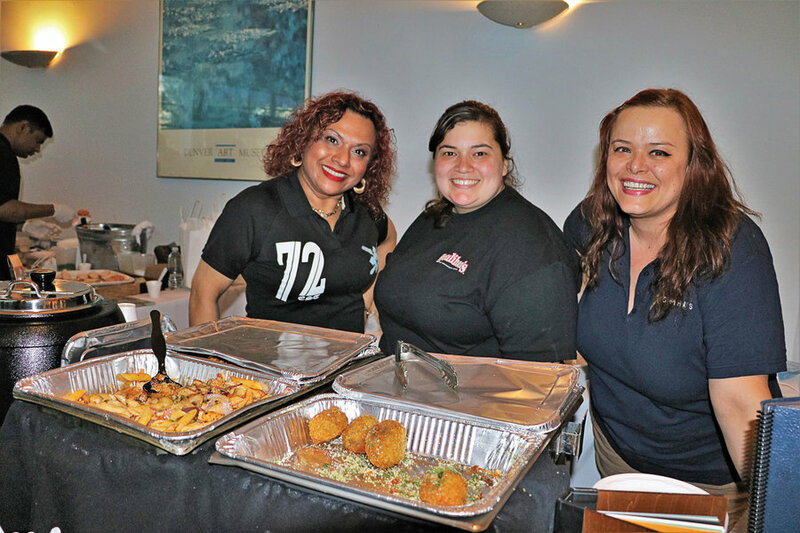 Established 17 years ago as a fundraiser for the library, Taste of Weehawken this year saw a record 433 paid admissions, bringing in $18,000. The money goes toward programs above and beyond those funded by the normal budget, like visits from the Center for Aquatic Science, Mad Science workshops and STEAM-related Tinker Labs, guest lecturers, resume writing programs, new computers for the adult department, new iPads for the children’s department, and new furniture to develop an outdoor reading area. 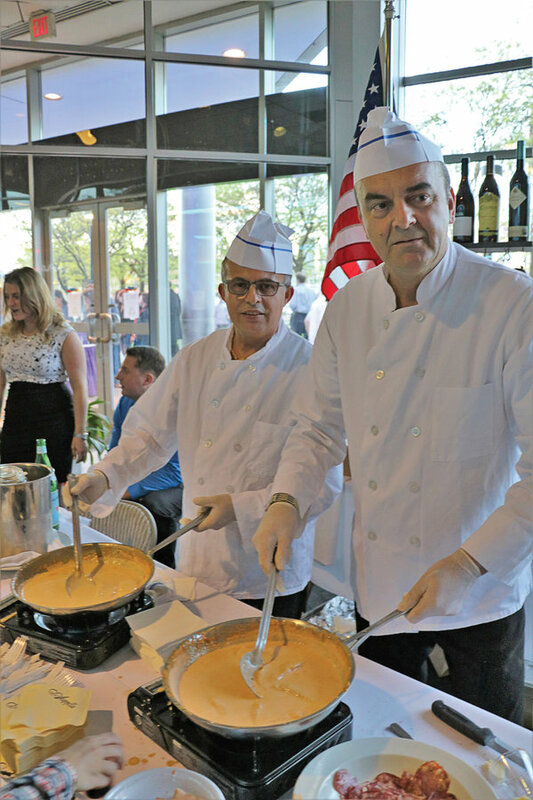 The 30 restaurants, caterers, and bakeries that participated in this year’s event all donated their time and served some of their finest dishes to show their support for the library. Waterside Restaurant on River Road in North Bergen offered a delicious penne pasta with chicken. The restaurant, where Turner’s son works as a DJ on weekends, is owned by three siblings whose dad ran a Greek diner in Jersey. “They grew up in the business and they’ve been in it for many years,” explained Event Planner Rhonda Muziani. They are also strong contributors to charity, especially the Leonidas Foundation, which they established after the son of one owner died in a car accident last July. Their food is prepared with special ingredients imported directly from Italy. “We get stuff two times a week,” said General Manager Dino Gjeka. “Prosciutto, mozzarella, portobello mushrooms.” They import mussels from New Zealand, and bring in oysters, fresh tuna, and beluga caviar. 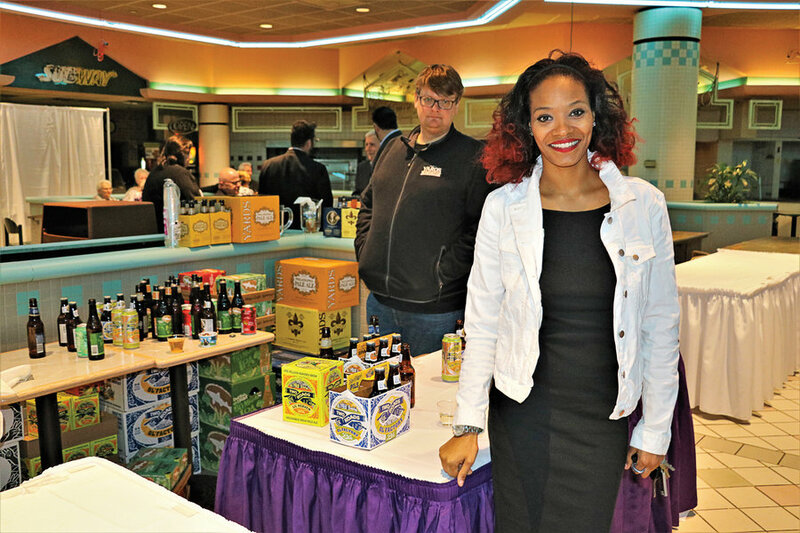 Mitchell Fish Market was yet another new participant in this year’s Taste. Located in the former Crab House on a pier in Edgewater facing Manhattan, they are the first Jersey location for the chain, part of the Landry’s organization. 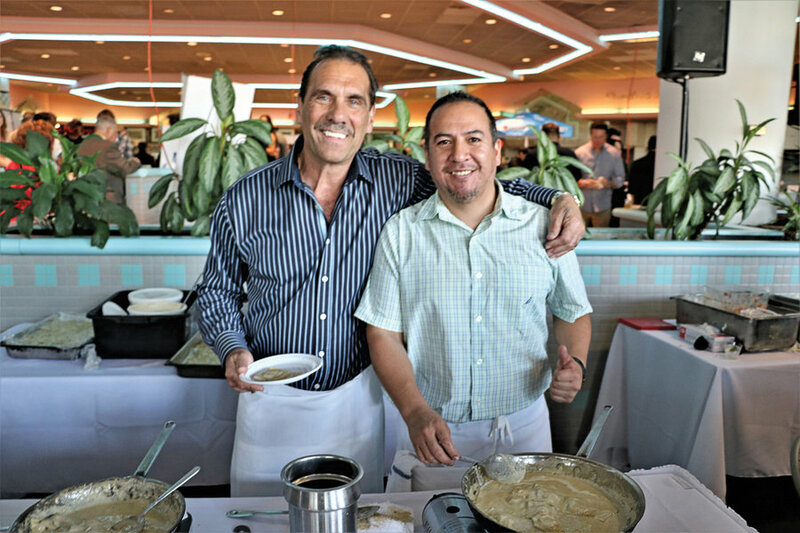 Landry’s also owns local eatery the Chart House, a participant in the Taste for all 17 years. El Unico Restaurant was established in 1976 in Union City by Adrian Rivero. In 1994 he sold the business to another family that ran it until three years ago, when Rivero’s daughter, Maria Montesdeoca, took over as new owner. Jonas won a $50 gift certificate from Luce’s Gluten-Free Artisan Breads, one of the many gift certificates contributed by vendors as door prizes. She also found a new favorite beverage in Misunderstood Whiskey. “I think I’m convinced that whiskey is misunderstood,” she said. “We want to be the gateway drug into whiskey,” said JD Recobs, who co-founded Misunderstood Whiskey Co. with childhood friend Chris Bulisi. They invented the ginger-infused whiskey in Recobs’ mom’s kitchen in Montclair and now run their brand-new business out of Jersey City. 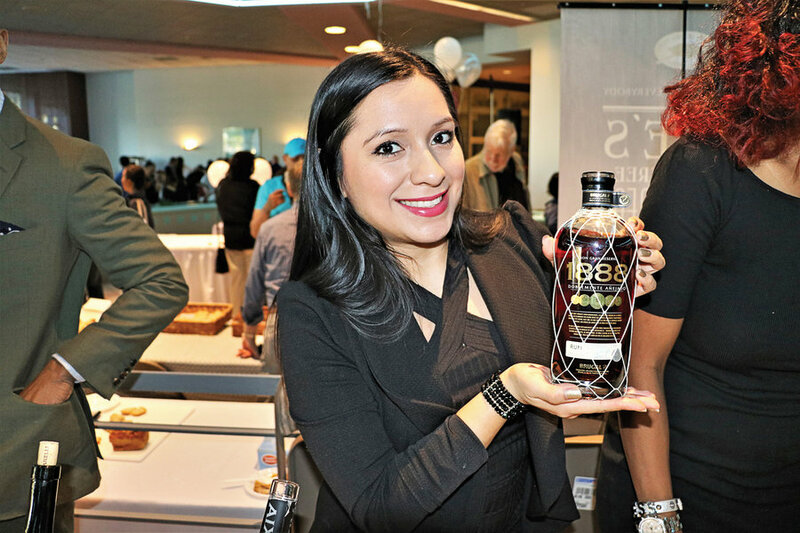 The delightfully smooth 80-proof whiskey was one of countless spirits, wines, and craft beers available for tasting at the event at 12 tables organized by Giannone Wine & Liquor Company. “If you’re going to have dessert, would you have chocolate or crème brulee?” asked Anthony from Premium Port Wine. To chocolate lovers he recommended a ruby port, and to the rest he offered a tremendous 20-year-old tawny port. “Everybody loves these wines,” he said. Judging by patron response, he was right. Lorraine’s Table was established by Lorraine Wuillamey to offer creative and eclectic menus via a weekly delivery menu, as well as catering for dinners, parties, showers, and other occasions.